The World´s first multi-functional travel adapter & charger just got better, introducing the all new OneAdapter™ ChargerDual 3.1. Now with more than double the power to fulfill all your electronic devices charging need to ensure safe and rapid charging no matter where you are. Leave the chargers for your iPad, SmartPhones, iPod, MP3 players at home! The high power dual USB charger provides sufficient power to charge up to 2 devices at the same time. Power up your notebook, ultrabook or other mobile electronics directly from the Universal AC Power Outlet. Be connected and protected! 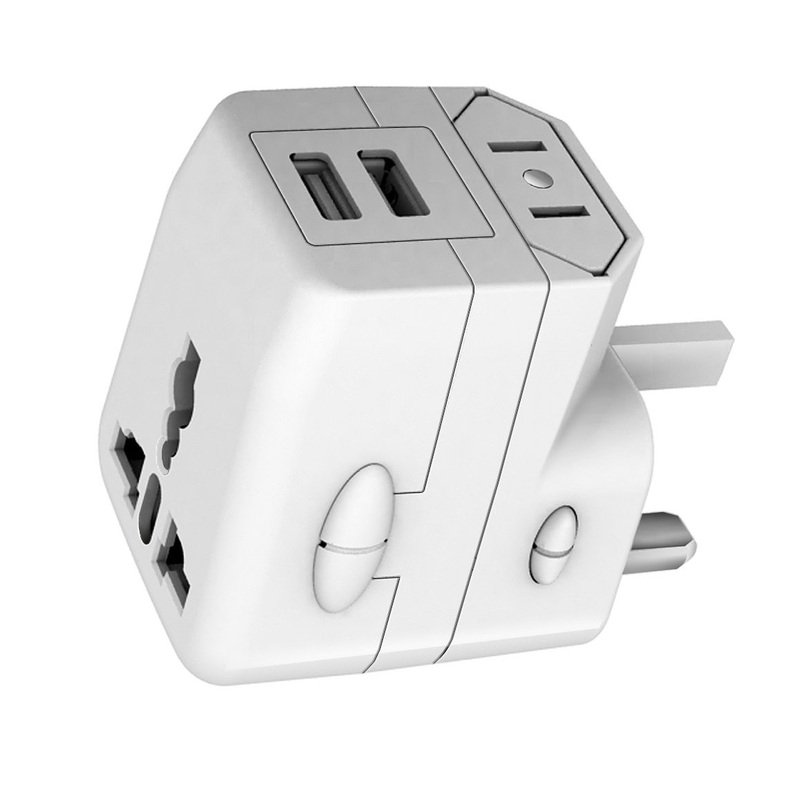 From Australia to Zimbabwe, the OneAdapter™ ChargerDual 3.1 provides compatibility in over 150 countries worldwide. The built-in surges and spikes protection system protects your mobile electronics from potential damage. Power up your notebook computer through the Universal AC Power Outlet and charge up to 2 devices through the high power USB charging ports simultaneously.